The Bhamala Buddhist Archaeological Complex in Pakistan has revealed a wealth of history and treasure dating back 2,000 years. Excavations have uncovered more than 500 “terracotta artifacts, stucco sculptures, architectural elements, copper coins, iron nails, door sittings, pottery and 14 coins from the Kushan era,” reports The Express Tribune . According to The Express Tribune, the site is believed to date back 2,000 years, and Bhamala might be found to be even older. Artifacts, like the clay Buddha heads unearthed at the site, may date back to the 3 rd century A.D. At least one artifact has been conclusively placed to that time period. Some of the discoveries have suffered damage due to illegal excavations and looting over the years. The Bhamala stupa is unique as the largest surviving example of its particular shape in the region. It is described as cross shaped, like an Aztec pyramid, and such constructions have only been seen in Kashmir. First excavated by British archaeologist Sir John Marshall in the early 1900’s, the UNESCO World Heritage Nominated Site of Bhamala in Haripur, Pakistan has been undergoing field study since 2013 by the The Archaeological Research and Conservation Program India and Pakistan (ARCPIP). Marshall revealed a Buddhist Stupa and parts of a monastery, but modern projects using the latest excavation techniques have discovered new artifacts and fresh insights, including evidence of past settlements on site. Researchers can show that Bhamala was used by Buddhists hundreds of years ago. In 2017, archaeologists unveiled a major find at the site - a 1,700-year-old representation of a sleeping Buddha. 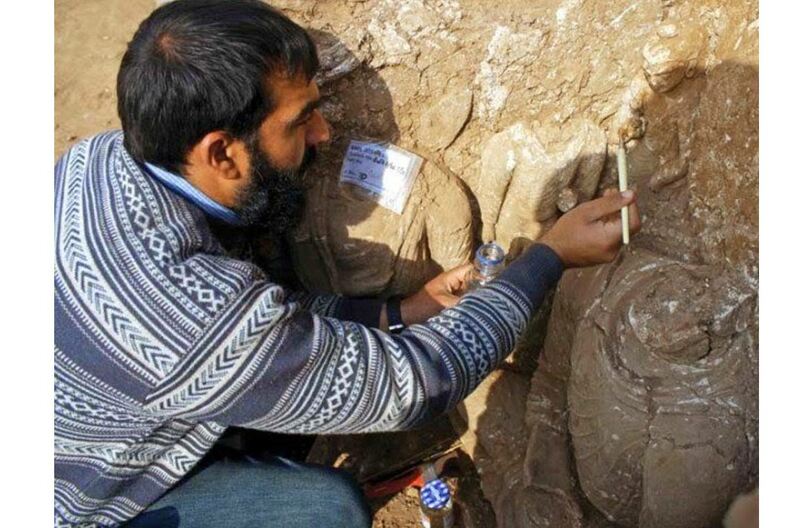 Discussing the find, Samad told Reuters, “This is from the 3rd century AD, making it the world’s oldest sleeping Buddha remains.” At the time, the Buddha statue was revealed in part as an attempt to promote tourism and project religious harmony. Read more about Is The Sphinx of Balochistan Really Just a Natural Rock Formation?